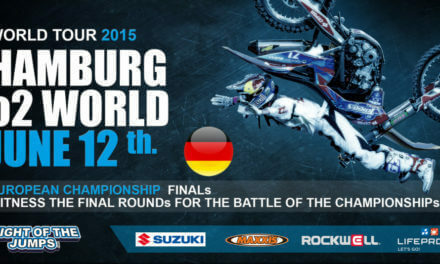 The world’s most extreme freestyle motocross series is set to conquer the Bavarian capital on April 25th, 2015. NIGHT of the JUMPs extreme athletes will take to the air under the Olympiahalle’s roof for a fifth time, as Munich once again becomes the venue for an FMX championship grand prix. A quarter pipe ramp will be erected for the first time ever in the Olympiahalle, guaranteeing fans plenty of trick action in the freestyle competition, like the 540 Flair. Another premiere in the Bavarian metropolis – Maxxis Highest Air! NIGHT of the JUMPs fans of the high-jump contest can be pleased, as they will get to see their first thrilling competition in Munich. A new design of portable landing ramp was tried out in 2014, making it possible for Maxxis Highest Air to now be staged in Munich this year. 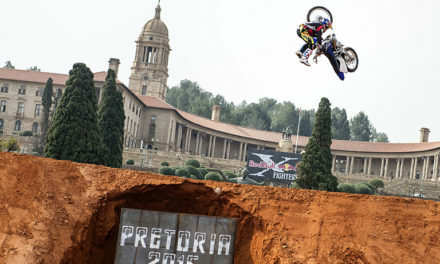 The high-jump competition has a star?studded line?up with world title record holder Bianconcini (ITA), Jose Miralles (ESP) and 17-year-old local rider Luc Ackermann (Ger).